Rain barrels are containers that collect and store rainwater from your rooftops, which normally should have gone through your gutters down to your roads and pavements travelling their way to storm drains, becoming a member of the waste water system in your locality. Depending on the amount of rainfall and the size of your rooftop, you can have an estimate of the volume of rainfall that is available for collection from Mother Nature. A 1200 sq ft roof area would produce 700 gallons of water from one inch rain falling in your rooftop. Thus, it would be a sound decision, both economically and environmentally to trap the rainwater from your rooftop whenever possible and store it for future use. Rain barrels are usually made of food grade plastic barrels. If there is heavy rain in your area, one barrel could be filled up so easily, thus making it beneficial to install more than one to get the most out of that rainfall. Increase your storage capacity by installing more than one rain barrel. So now comes the question: How to connect rain barrels? 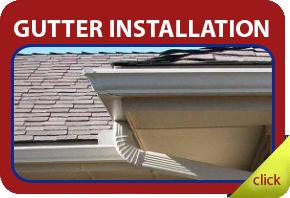 Locate one down spout from your rooftop. 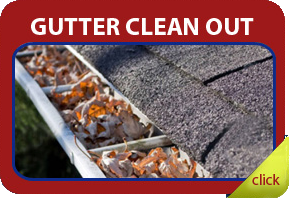 Clean the space near the downspout where you want to position your rain barrel. Make sure that the area level can accommodate the number of barrels you have in mind to install. Make barrel sized pads, by stacking cinder blocks or bricks where you can place your rain barrels. One barrel sized pad should be raised by about six or eight inches from the ground while the other one will be leveled with the ground. Now, you would need to position one barrel under the drain spout. This would be your first barrel, and you should let it sit on the taller pad. The second barrel should be on the lower pad because it will catch whatever water that cannot be accommodated by the first barrel. To let the water flow from the first barrel to the second barrel you would need a used hose. Cut it to a length just enough so that it could reach the filling hole in the second barrel located at the top when it is attached to the overflow of the first barrel which is also found on its top. You can use a screw to attach onto the overflow fitting the threaded end of the hose. Now attach the unfinished end of the hose to the filling hole of the second barrel. 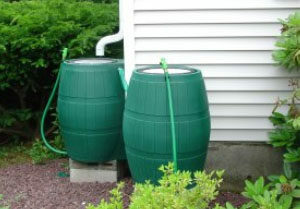 If there is a heavy downpour and your first rain barrel is filled up, the excess water from the first barrel will flow to the second barrel through your hose connections. If it’s product knowledge that you’re seeking, just call 972-530-5699, and we’ll discuss any and all of your concerns. 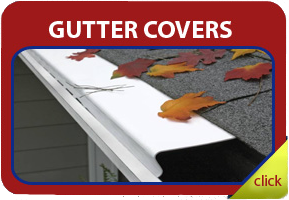 Please contact us today for your gutter covering needs.